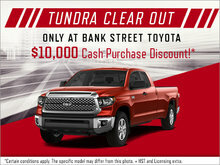 Saving money at Bank Street Toyota is an everyday thing. 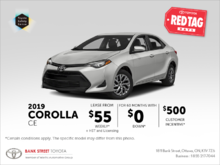 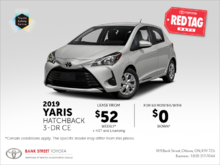 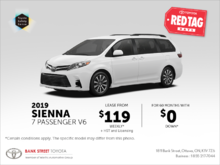 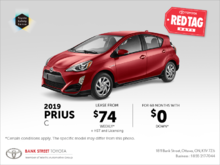 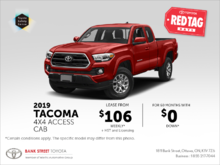 We offer our customers a wide range of promotions and rebates, as well as enticing interest rates on the purchase of a new or used Toyota model. 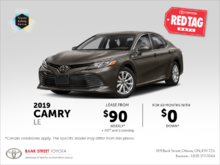 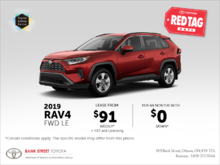 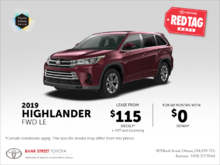 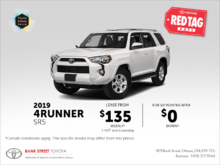 Toyota Canada also offers great deals and incentives on the purchase or lease of a new Toyota vehicle so check back often! 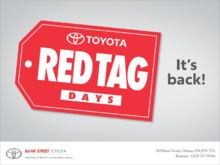 During winter and summer, Bank Street Toyota offers great rebates on seasonal packages at any one of our service departments, as well as year-round promotions at our genuine Toyota parts and accessories department. 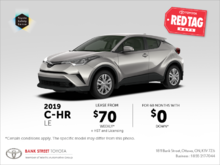 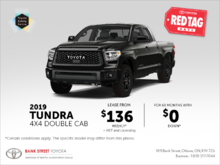 If you would like to be informed of the most recent Bank Street Toyota promotions and rebates, sign-up for our newsletter today! 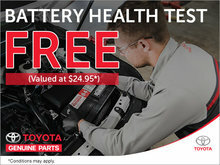 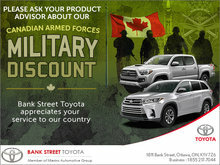 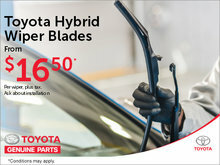 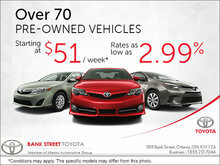 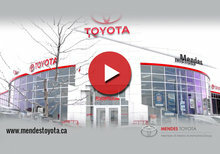 Also, contact Bank Street Toyota directly at 1 855 217-7044 or online using our website.